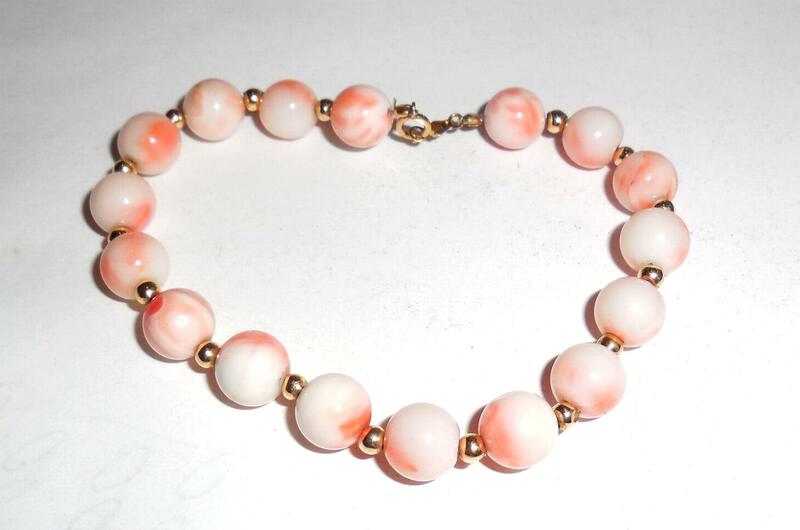 This is a Vintage 14K Gold 7mm Angelskin Coral Bracelet Small Medium 7 inches long for a small medium wrist size. 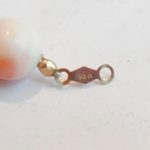 The clasp, small beads and connectors are solid 14K yellow gold. 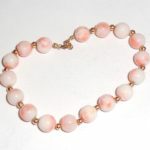 The angelskin coral beads have beautiful peach to pink to white color with some rose highlights. 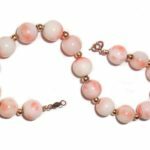 Each bead is approximately 7mm, and has its own natural characteristics. 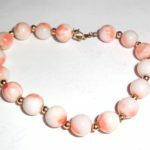 A few of the beads have natural inclusions. Other than this it is in excellent, gently used condition. 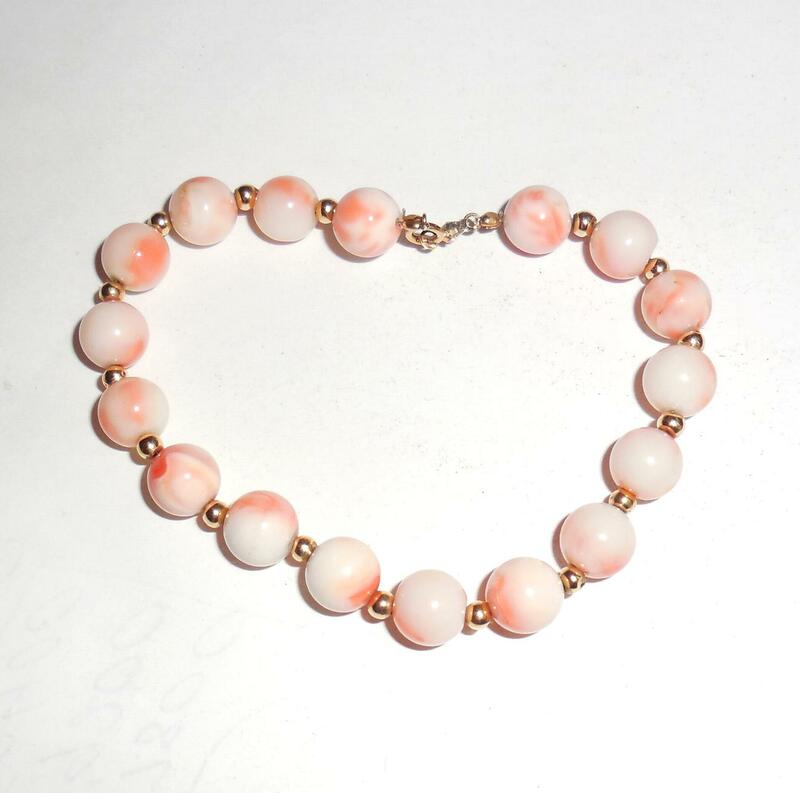 This bracelet has a very small lightweight clasp that you may want to replace with a larger clasp at some point in the future if you are arthritic or have difficulty working with small clasps. Weight is 11.3 grams. Width across is 1/4″ wide (7mm). 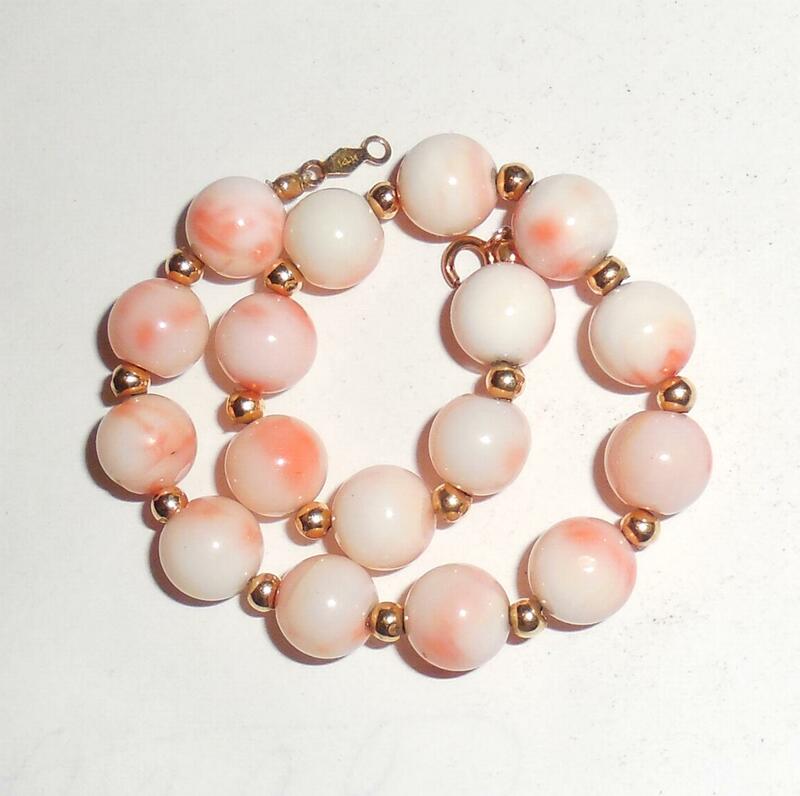 This is a lovely angelskin coral bracelet for your vintage jewelry collection. Very Pretty colors and nice showy size! This is a deep carved sterling silver artisan bangle bracelet made by CGNY Cynthia Gale of NY. It has a beautiful flowing design with showy raised elements on a thick textured background. Very fine quality workmanship. Width across the top is 7/16". Thickness is very noticeable at 3/16". Size of the inside open space is 2 9/16". Weight is 31.8 grams. 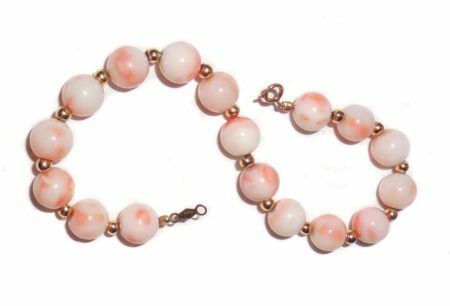 Original owner's cost was $350 including tax and this bracelet has been discontinued. 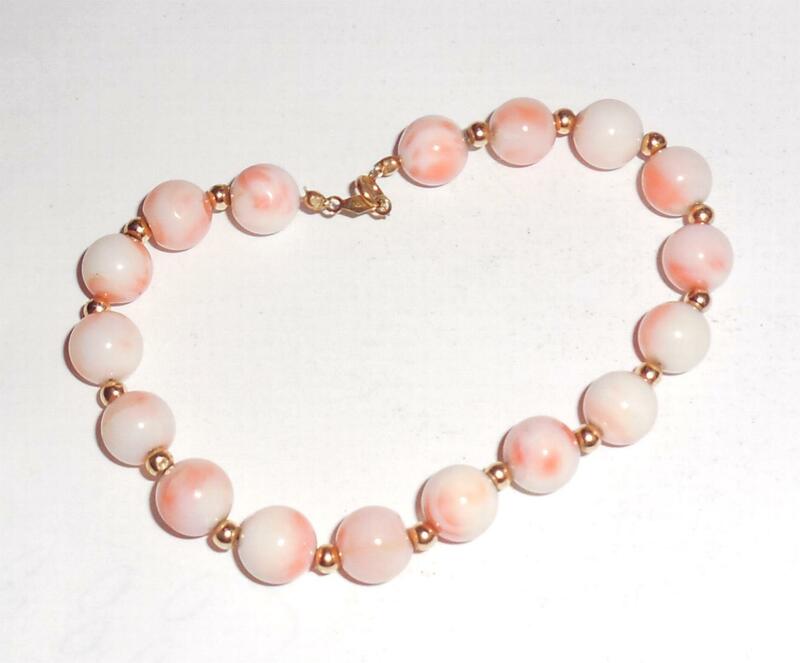 This is a lovely showy Cynthia Gale artistic statement bracelet for your collection. 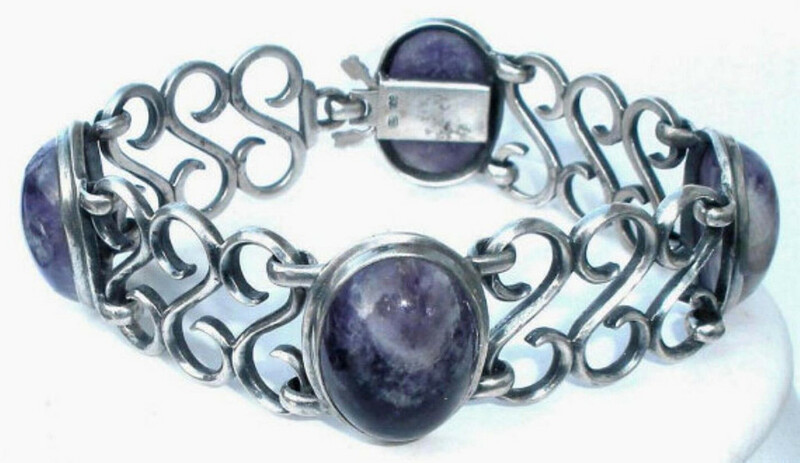 Gorgeous, showy, early modernism, hand made 800 Silver bracelet with very large natural amethyst cabochon stones. It is marked 800 with a maker mark of HH in an octoganal punch mark and an O going through it. It has very thick substantial 800 silver, strong heavy duty bezel connectors, and 2mm thick S forms. The locking clasp is a little tight but works well and is secure. Could be cleaned or polished down to be more flexible. One of the stones has a chip right at the bezel at the point of a natural inclusion. It is from the setting and has been there for many, many years. Other than this the condition is excellent. 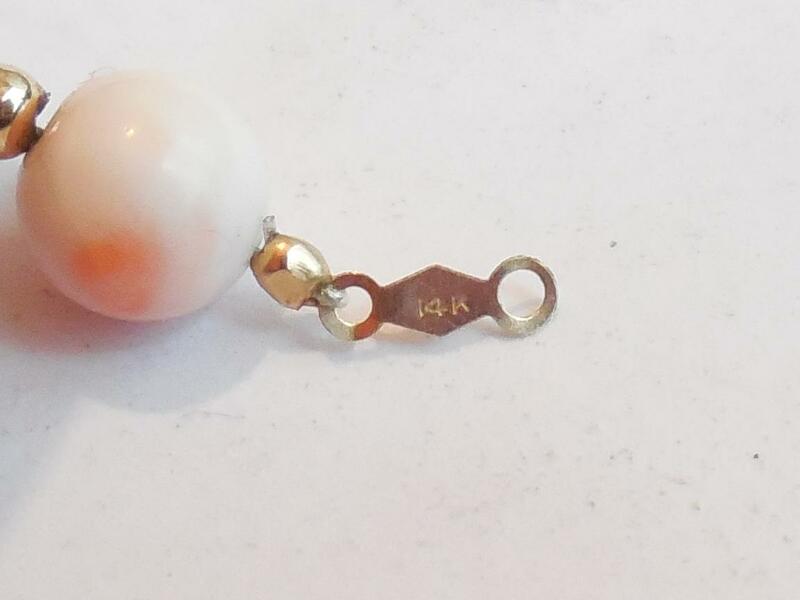 Size is 7 1/4" long closed. Width is 7/8" which is the same size as the amethyst bezels. Weight is 43.3 grams. The amethysts on this bracelet are stunning. They are great big cabs with beautiful purple to white coloring and measure 20mm by 14mm. Each one has a height of 7-8mm. Each one also has lovely color with its own respective internal characteristics. This is an impressive vintage statement bracelet for your antique and hand crafted jewelry collection. 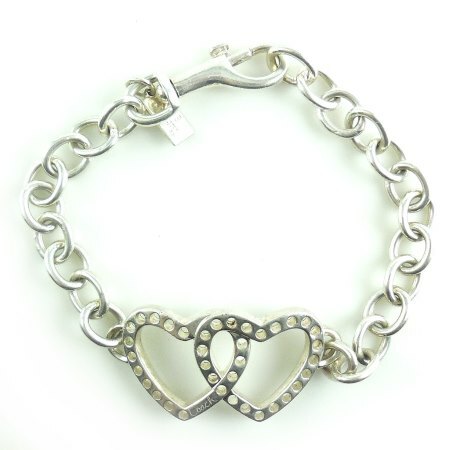 This is a gorgeous authentic Coach or Coach inspired 7 1/2" sterling silver perfect circles double heart charm bracelet. It is marked, tested and Guaranteed solid sterling silver. It has the original Coach, Turkey, 925 sterling tag on the end link. It also has the Coach lozenge insignia on the back of the heart. Authentic, genuine, real Coach sterling jewelry. The chain links are 5/16" wide and very thick. This is an extremely well made bracelet. The perfect circles intertwined hearts are 1 1/4" across. Original owner did not use this much at all. Great, Excellent condition. No damage or repair. This is a gorgeous Coach bracelet for your collection. This is a hand made early Art Deco 1925 to 1930 Belgian 50 centimes coins silver bracelet with a drop dangle centerpiece. Size is 7 1/8" long. The coins are 11/16" wide across North to South. From an estate and has some wear and patina consistent with age. The patina has been polished out. Completely original. No dents or gauges or tears or repair. Weight is 28.3 grams. 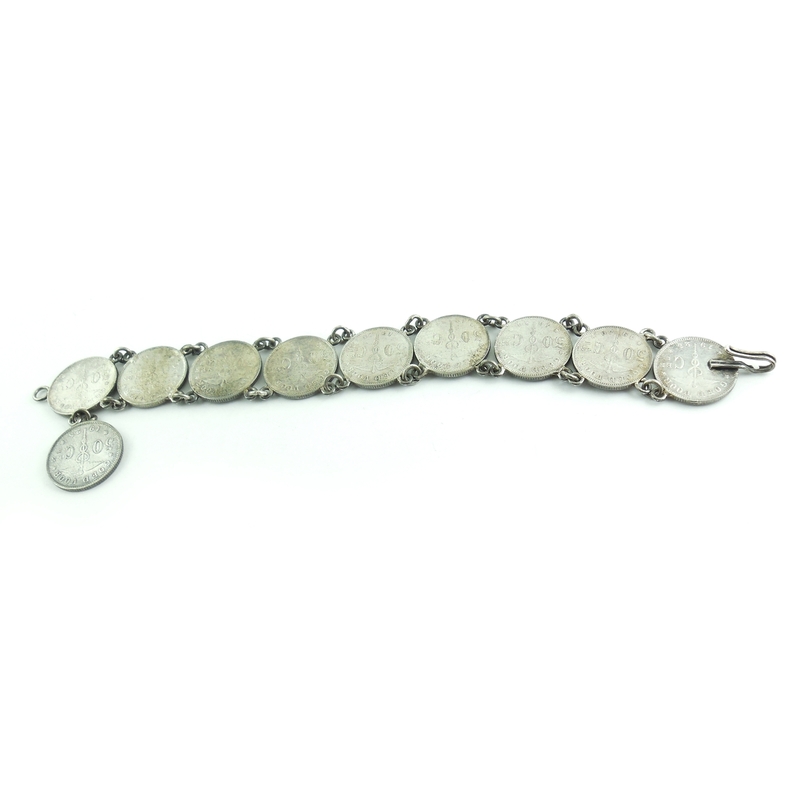 This is a lovely 1920s early Art Deco estate bracelet with its original Belgian silver coins that will polish up with a beautiful look for your antique coin jewelry collection.